2019 Gold Falcon coins are supplied in brand new, uncirculated condition. 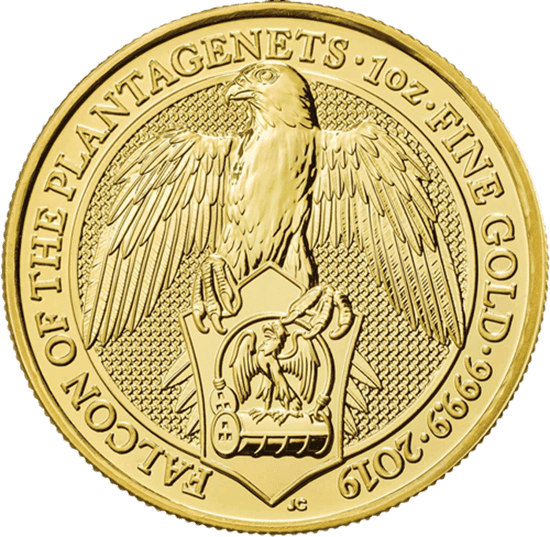 The 6th release in The Royal Mint’s Queen’s Beasts Collection is the Falcon of the Plantaganets. First used by Edward III, the falcon symbolises single-minded determination. Likewise, Richard’s uncles employed falcons as motifs. The device became particularly associated with the House of York. 2019 1oz 24k Gold UK Queen's Beast 'Falcon of the Plantaganets' has been added to your shopping cart!